Proper management of finances is a pain point for most individuals to the extent that the idea of discussing this subject is not welcome. Unfortunately, those who are not keen on taming their spending habits continue sinking in credit card debts, and financial freedom becomes evasive. Exercising shrewdness in financial matters is not an option, especially for new parents who intend to raise their child in the best way possible, because parenting comes with new responsibilities. Here are some budgeting tips that new parents can consider adopting as they adjust to their new lifestyle. Understanding the maternal and paternal benefits your employer or state offers is critical for anyone who is set to become a new parent. So, part of the preparations you should make is seeking information on whether there are any benefits you should expect when the newborn arrives. In some cases, some employers have no maternal or paternal benefits for their employees depending on company policies, which suggests that there is no compensation for staff members who take leave from work on such occasions. Anticipating a possible drop in income can eliminate the shock of becoming a new parent by helping you to budget accordingly in advance. The joy of welcoming a newborn encourages prospective parents to buy clothes, diapers, wipes, among other supplies they will require after receiving their new bundle of joy. 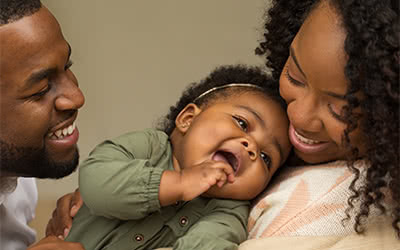 When attending to the basics as first-time parents, you should also consider other unforeseen expenditures that may overstretch your budget. Some of the additional expenses for new parents include the cost of emergency medical visits, babysitting services, infant daycare expenses, among others. Any strategy that can help you minimize wasteful spending as new parents will go a long way in reducing pressure on your finances. Striking a balance between work and taking care of a child is challenging for most new parents and for that reason exploring child care options in advance is a necessity. Several child care facilities may be available within your locality, but that does not imply that each of them is ideal for your child. Identifying the best child care establishment for the best price should be your priority as a new parent, and the only way to achieve this is by researching the options you have in advance. If you wait longer than necessary, you will most likely settle for a child care facility you may not like and at a higher cost. Enquiring if there is a dependent care savings option from your employer is also a wise idea because it will help you prepare in advance, which can attract some savings. The temptation to acquire expensive items that are unnecessary in a bid to entertain a baby for long hours and help them sleep better is irresistible for most new parents. Investing in the basics for your child's development and opting for additional items when the need arises discourages overspending. Most parents desire to give their children the best possible education they can afford, and that may not be a challenge in the early stages. The uphill task is when you have to part with hundreds or thousands of dollars for the sake of financing your child's college education. If you start saving for college when your child is born, you will eliminate the stress that comes with dealing with budgetary constraints and paying for college when your child is ready to join one. Creating time to bond with your child after work as a new parent is paramount, but you may not have sufficient time or any energy left by the time you arrive home. In most cases, the priority for new mothers after work is to prepare a quick meal for the family to eat before resting for the night. Preparing meals in bulk is a wise idea because you will enjoy more time with your family. There are several inexpensive meal planning resources you can consider if you need help to save on cost and the time you spend preparing food.